Moore: Should Workers' Comp Be a Litigious Industry? Workers’ compensation was designed to reduce litigation by trading out the employee’s right to sue his employer for negligence in exchange for limited guarantee of care and compensation. This exclusive remedy “bargain” was the justification for why the system was created a little more than 100 years ago. If we look at intent and where we are today, it’s a failure (albeit a fixable one). Currently, the workers’ comp system is thought of as one of the more litigious marketplaces for insurance and health care. It doesn’t reduce litigation, it simply changes (and in some cases streamlines) the fight. We need to wake up and say ENOUGH. It’s time to dedicate resources on several fronts to get back to the original intent of this system. In 2014, the California Workers’ Compensation Institute released a study that provided a strong scientific approach to quantifying impact. The study showed that if an injured party hired a lawyer, the associated costs went up on average by $40,000 for permanent disability payments and $25,000 in terms of temporary total disability benefits — even if the case never went to court. That is staggering. Prior to this study, there was a general understanding that the system was not functioning as intended, but when the hard numbers were presented in a very defensible analysis, it’s truly shocking. More importantly, the study demonstrated that the injured worker doesn’t benefit from a litigious fight, either. It isn’t good for anyone (except maybe the lawyers) when things devolve to the point where attorneys become involved with a claim. To determine whether things have improved since the release of the CWCI study — and if so, by how much — I am involved with a new study. If the initial findings hold up, I can assure you that it has not gotten better. It’s far more likely that it’s only gotten worse. The overall time to resolve claims increased by a factor of nearly 10 when an attorney was involved. The amount spent in temporary disability payments was approximately 4.5 times greater when an injured worker was represented by an attorney. The number of workdays employees missed more than doubled when lawyers were engaged. These numbers are considerable and don’t even focus on the out-of-pocket costs of the attorney’s fees, direct litigation costs or the impact the additional friction causes in claims overhead costs. One of the more provocative initial findings shows that when carriers distinguish between claims that are litigated and claims that are just represented and haven’t escalated to litigation, there is little difference in outcomes. If anything, initial figures suggest the worst outcomes are more likely in the claims that are represented but not litigated (carriers have different criteria for these categories, so it’s not a conclusive finding). It is clear that once the injured worker decides he needs to get an attorney, the horse is already out of the barn. We have to get in front of this event — and not just react to it. 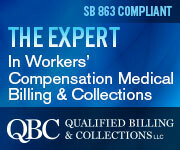 The future health of the workers’ comp industry depends on this. There are lots of opinions on where to go from here. The positive to this is that real solutions are on the table. Before we examine all of this, however, it’s important to understand why injured workers hire attorneys to begin with (hint: It’s rarely because they are looking to score a massive payout). In my next article, I will dive into these reasons and how to remedy them so that we can return the workers’ comp system to its original intent. Gregory Moore is an adviser of CLARA analytics. This post first appeared in WorkCompWire and is reprinted by permission. I think that if the adjuster showed more compassion regarding the injury; then possibly litigation might be avoided in many instances.